A corrections officer at the Delaware County Jail was indicted Friday and charged with sexual battery involving a minor for alleging engaging in sexual conduct with a student at the Delaware Area Career Center, where he volunteered. 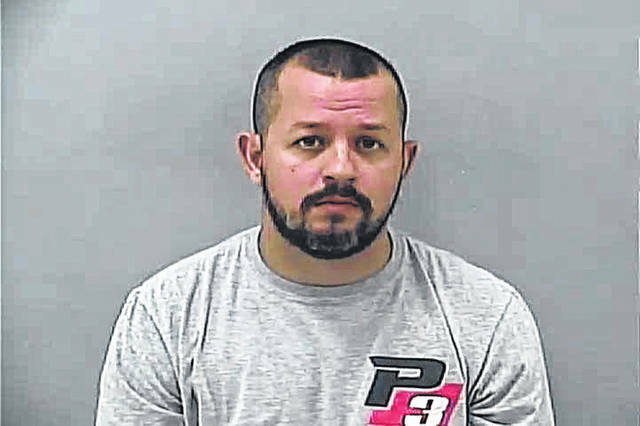 Eric Jaynes, 31, of Sunbury, was indicted Friday and charged with one count of pandering sexually oriented material involving a minor, a second-degree felony; 10 counts of sexual battery, third-degree felonies; and one count of disseminating matter harmful to juveniles, a fifth-degree felony. Delaware County Prosecutor Carol O’Brien said the charges come after a May 18, 2018, call to law enforcement. O’Brien said the offenses occurred between Jan. 1, 2018, and May 18, 2018. The Delaware County Sheriff’s Office reported Friday that Jaynes had been arrested without incident at his Sunbury home following the indictment. The sheriff’s office reports he has been an employee since 2013. Delaware County Sheriff Russell Martin and DACC Superintendent Mary Beth Freeman issued a joint statement Friday after the indictment was revealed. The sheriff’s office reported that Jaynes was placed on paid administrative leave when the investigation began, but he has since been moved to unpaid administrative leave. “We are extremely grateful for the cooperation and the relationship that we have with the Delaware Area Career Center,” Martin said. Freeman said when the DACC administration became aware of the allegations, they immediately contacted the sheriff’s office. Mark Warner, an instructor at the DACC, was charged in Delaware Juvenile Court for not reporting child abuse or neglect. Freeman also issued a statement about Warner, and said Warner knew about the illegal sexual activity between Jaynes and a student. Delaware County Juvenile and Probate Court Judge David A. Hejmanowski will oversee Warner’s case. O’Brien said there may be more victims in the case and urged anyone with information to contact the Delaware County Sheriff’s Office. Jaynes was in the Delaware County Jail Friday awaiting his arraignment before Delaware County Common Pleas Judge David M. Gormley on Monday at 3:15 p.m. He will be represented by Delaware attorneys Brian G. Jones and Elizabeth E. Osorio. Glenn Battishill can be reached at 740-413-0903 on Twitter @BattishillDG.